for the loss of my dearest father, he joined our creator last May 05. 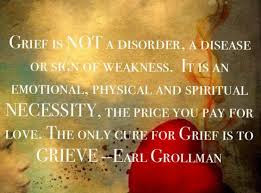 For now I will let my heart grieve, I know healing will come after. I've lost both of my parents Rocks. It's the way of things. It still hurts horribly though. You do what you have to do, but remember what a blessing he was as your father. Many don't have a father in their lives, but you did. Sis, I'm so sorry to hear about your loss. I know it's not easy but hold on and keep the faith. Please accept my condolences to you and your family. Sorry to hear about your Father I hope you and your family are OK. When my mother died someone said something to me which I never forgot she said "Love will shine through"